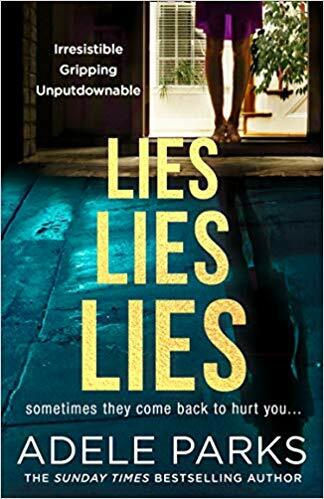 This dark, unsettling tale of the reunion of long-lost friends is thoroughly gripping exploration of wanting what you can’t have, jealousy and revenge from ‘Sunday Times’ bestseller Adele Parks. 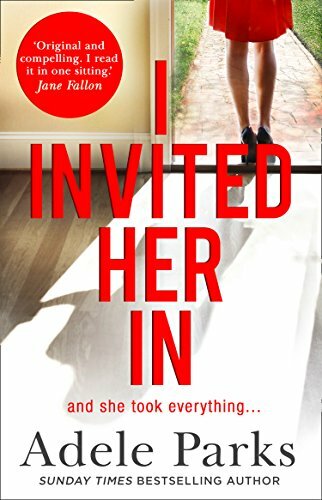 You can pre-order I Invited Her In from Amazon and will be available to buy from 20th September 2018. ’The Image Of You’ is the latest book by Adele Parks. When all you can see is what they want you to see… Can you ever trust someone you meet online? Anna and Zoe are twins. Identical in appearance, utterly different in personality, they share a bond so close that nothing – or no one – can rip them apart. Until Anna meets charismatic Nick. Anna is trusting, romantic and hopeful; she thinks Nick is perfect. Zoe is daring, dangerous and extreme; she thinks Nick is a liar. Zoe has seen Anna betrayed by men before. She’ll stop at nothing to discover if Nick is as good as he seems. The problem is, lies may hurt. But honesty can kill. When it comes to favourite authors, Adele Parks is up there with being one of my favourites. 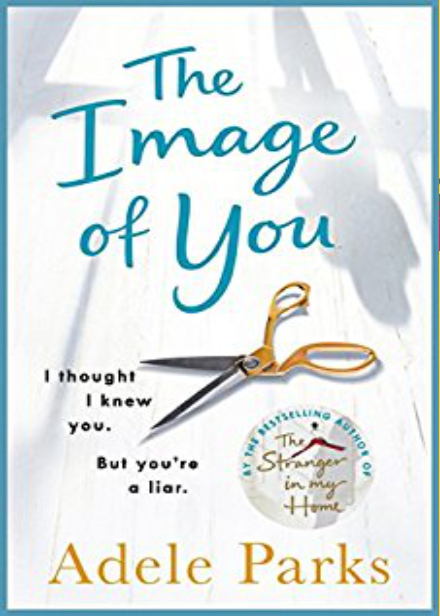 Her ability to write gripping tales with twists and intriguing characters always leaves me wanting me when I reach the final page and ‘The Image Of You’ is no different. In her latest book, we meet twin sisters, Anna and Zoe, women who are complete polar opposites of each other. Anna is quiet and organised, she works for a charity and also sees the best in people, whilst her sister Zoe is a reckless wild child who has aspirations of becoming a successful model and actress and refuses to let anyone stand in her way including her sister. But then meet Anna meets Nick through online dating and they embark on a whirlwind affair affair. Once a man who enjoyed one night stands and wild passion, Anna manages to tame him to appreciate the finer things in life and Nick begins to think that Anna might just be the one for him. After a short time together, he proposes and Anna is delighted that her life plan is back on track. Settle down, get married and have children. Reluctantly, she tells Zoe her good news, who finds it hilarious that she is rushing into the relationship and decides to leave New York for London, to visit her sister and new fiancé. This is when chaos ensues, Zoe comes to London with her drama, lust and passion and completely catches Nick off guard. Wondering if he has fallen for the wrong sister, they begin an illicit affair and through the story, Nick finds himself falling for both sisters. The story is seen through the narrative of Anna, Zoe and Nick and each of the voices gave the story an edge flowing from calm to manic as the story progresses. Anna is calm and organised as she plans her wedding whilst Zoe feels no remorse or guilt for her actions. Her arrogance is outstanding and adds almost an element of dark humour to the story, whilst Nick tackles confusion and guilt, Zoe revels in it. With a clever storyline, witty and complex characters, the book is an engrossing read that was impossible to put down. Riddled with twists and drama, ‘The Image Of You’ tackles the complexity of sibling rivalry, deceit and lust with a shocking ending that will leave the reader breathless. You can pre-order The Image of You from Amazon and will be available to buy from good bookshops. Exciting news as Adele Parks has already revealed the name and cover to her new book called ‘The Image Of You’. When all you can see is what they want you to see… Can you ever trust someone you meet online? Anna is trusting, romantic and hopeful; she thinks Nick is perfect. Zoe is daring, dangerous and extreme; she thinks Nick is a liar. The problem is, lies may hurt. But honesty can kill. I absolutely adored Adele’s previous book, ‘The Stranger In My Home’ so I can’t wait to read this one!